their operation via your laptop, tablet or smartphone. and control your pivots from the SCADAfarm website or the mobile app. individual sprinkler heads along the entire length of your irrigator. of water exactly where it’s needed. that is prone to run-off. property that suffers from high leaching rates. pump shed to stop/start your operation or identify any faults. running time and pressure limits. don’t waste water or breach your consent conditions. pumps from the SCADAfarm website or the mobile app. independently of SCADAfarm if you wish. You can’t rely on the weather – but you can rely on the accuracy of our SCADAfarm weather service to know if rain is on its way. That’s because WaterForce and agricultural weather experts, DTN, are bringing a powerful combination of tools together. WaterForce’s unique Terra Test helps reveal the exact soil composition across your entire property. It takes factors like crops and root depth into account and can be calculated paddock by paddock. Understanding this information is key to knowing how much water you need to apply for maximum growth and production. DTN is the largest provider of agricultural weather data in the United States. They use hundreds of different weather models and specialise in discovering which one works best for different locations. This is an important feature because our weather can be highly localised. Just because rain falls in one valley, doesn’t mean it’s going to fall across an entire region. In early 2017 WaterForce will install DTN’s specialised weather stations across rural New Zealand to create a new rural weather grid. 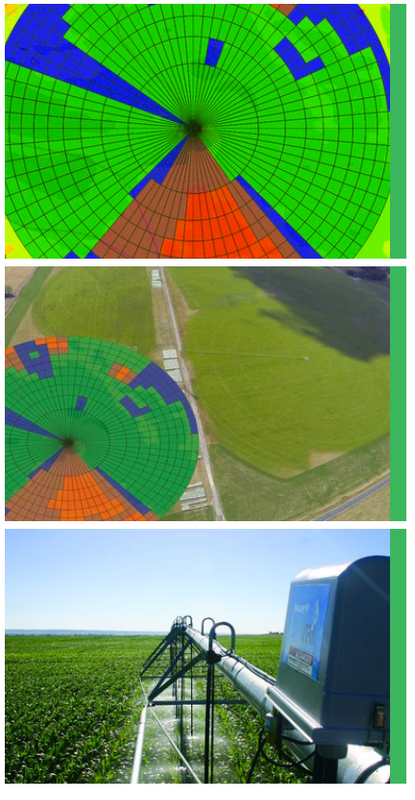 DTN’s algorithms will then calculate which model to use in different regions to produce the most accurate, detailed forecasts for Kiwi farmers, orchardists and vineyards. By conducting a Terra Test on your property and signing up to our new SCADAfarm weather service, you’ll have access to accurate, real-time weather data to help you make better water management decisions. We’ll even send you regular text alerts predicting the level of irrigation your particular farm or orchard will need in the next 24 or 48 hours. SCADAfarm’s soil moisture products allow you to continually monitor two key variables for plant growth: soil water and soil temperature. They are valuable tools in today’s farming environment. Having accurate soil moisture and temperature data at your fingertips can help you optimise your irrigation plan, save water and find the right balance to maximise crop growth and quality. 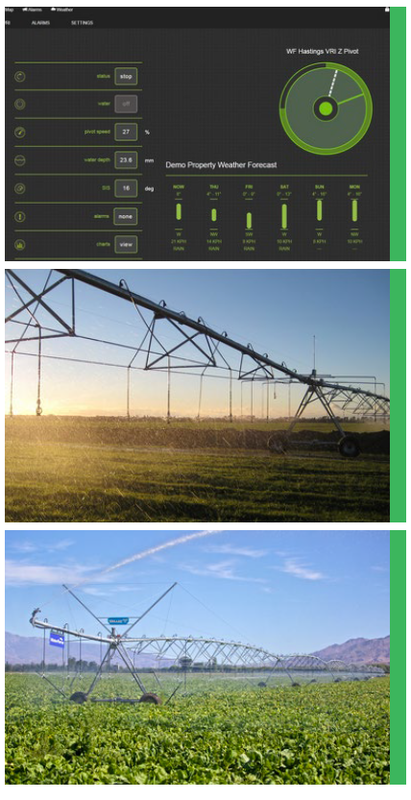 Our robust Aquaflex sensors, EnviroPro probes and associated Point Green loggers will transmit accurate data on a daily basis to our secure SCADAfarm servers in the cloud. You can then access that information whenever you need directly on your PC, tablet or smartphone. Aquaflex sensors are buried horizontally in the soil and are an ideal way to measure the average moisture content beneath permanent crops. Our EnviroPro soil probe is installed vertically and has sensors located every 10cm to measure moisture at different depths. Both 40cm and 80cm probes are available (four or eight sensors) and are suitable for permanent and seasonal crops. They can be removed before harvest and re-used the following year. Monitoring your soil moisture at varying depths can help determine your drainage profile and pinpoint areas where leaching might occur. Our experienced Field Team will install the sensor of your choice in a suitable location on your property where it will best meet your needs. This integrated solution works alongside SCADAfarm’s suite of products to produce a comprehensive picture of what’s happening on your farm or orchard so you can make the right irrigation decisions. SCADAfarm is available from your local WaterForce outlet. There is an initial installation cost and then an annual subscription fee. If you are interested in this technology solution, call into one of WaterForce’s nationwide branches to obtain a quote specific to your property. In order for SCADAfarm to work, you must have reliable cellphone coverage on site – ideally at the location of the equipment you wish to control and monitor. If coverage is patchy, we can look to install extra antennas or radio equipment to help boost your signal. WaterForce technicians will visit your farm and install Remote Terminal Units (RTUs), plus a power supply and modem beside your Valley pivot centre or pump control panels. Set-up instructions and your unique password will then be emailed to you, giving you access to SCADAfarm’s website and mobile app. Customer manuals will be provided so you can learn how to use your new SCADAfarm system. Your annual subscription also gives you phone and email access to our New Zealand-based support team should you encounter any problems or have questions. A ‘Live Chat’ help desk is also available on SCADAfarm’s website. © 2019 SCADAfarm. All Rights Reserved.